Though the doctors say her cancer is in remission, Dr. Silvia Metzger feels deep down that her days could be numbered. Following the stirring inside her soul, Silvia leaves her faculty position as a university professor in search of peace and tranquility. She relocates to Lancaster County in Pennsylvania, renting a tiny cabin on the farm of an elderly Amish couple. Meanwhile, the couple’s neighbor, eligible bachelor Joseph Zook, has been doing what he can to help out with the farmwork despite having a lame foot. He wonders if his disability is partly why he’s been unable to win the heart of an Amish woman. As Silvia settles into her new surroundings, she realizes that this community’s ways are exactly what she’s been looking for and makes a life-changing decision to become Amish. And when Silvia meets Joseph, God plants a seed that could grow into something beautiful. 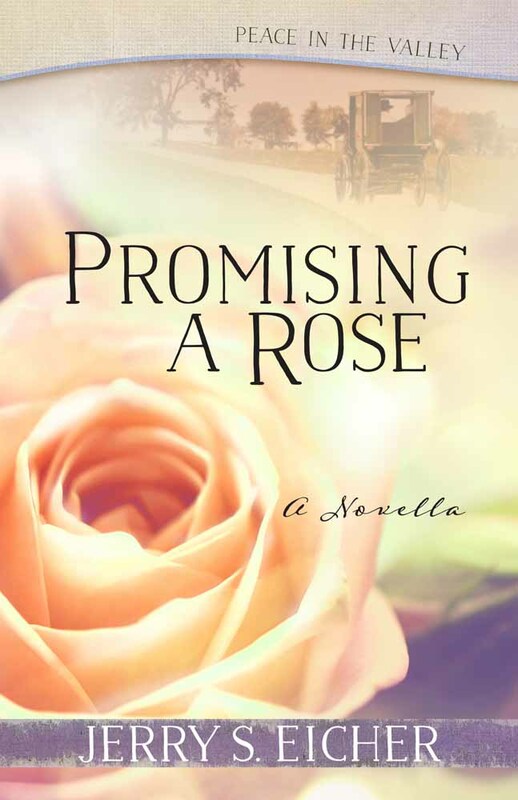 Experience the incredible power of love and second chances in this charming prequel to Silvia’s Rose. Jerry Eicher’s Amish fiction has sold more than 800,000 copies. After a traditional Amish childhood, Jerry taught for two terms in Amish and Mennonite schools in Ohio and Illinois. Since then he’s been involved in church renewal, preaching, and teaching Bible studies. Jerry lives with his wife, Tina, in Virginia.